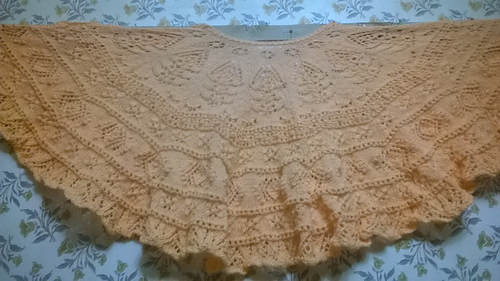 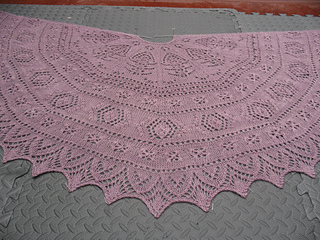 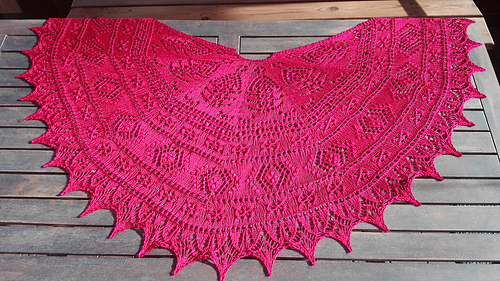 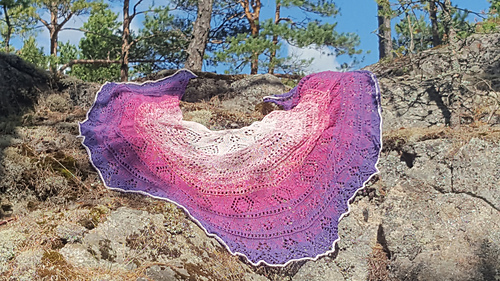 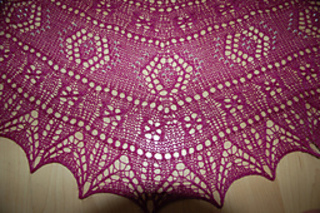 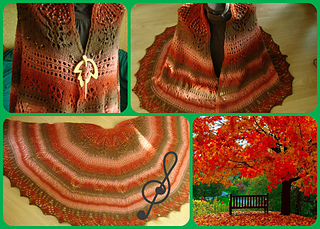 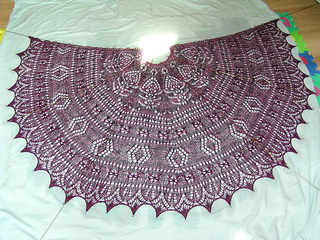 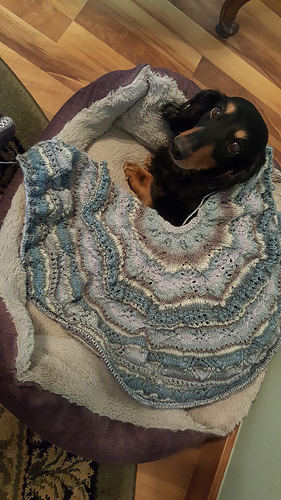 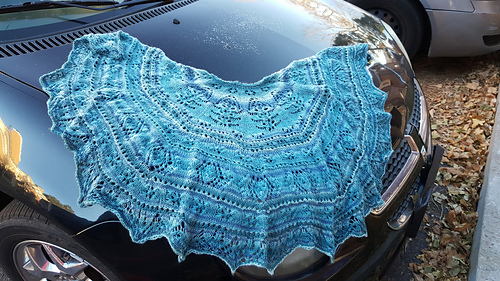 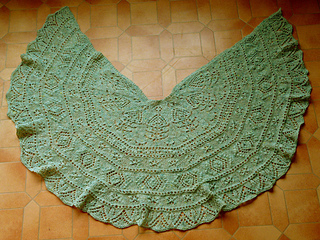 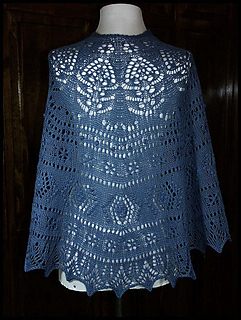 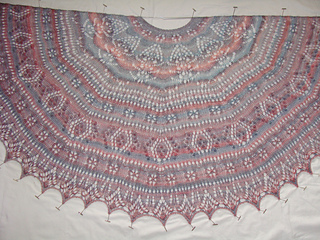 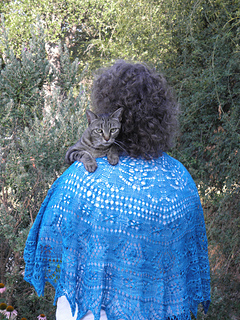 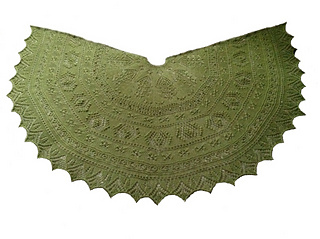 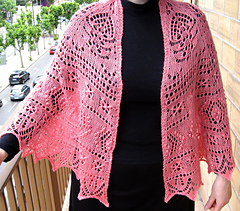 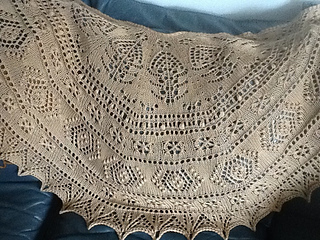 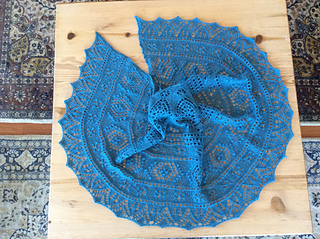 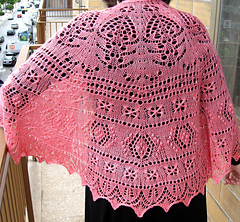 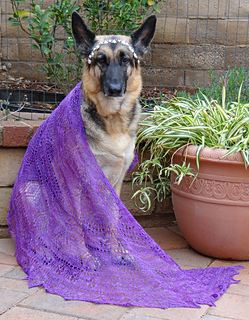 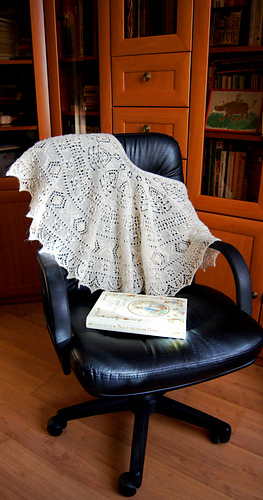 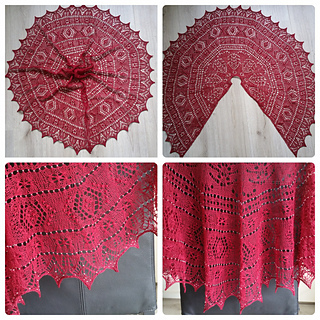 This shawl is worked from top to bottom, it has a “more than half circle” shape for a better fit. 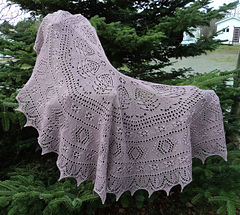 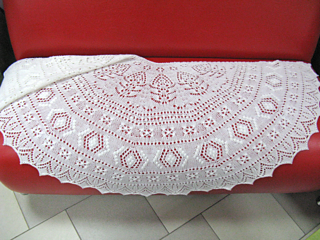 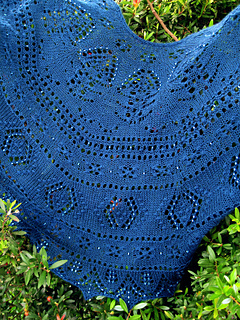 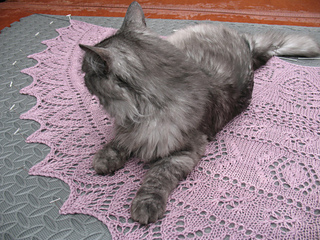 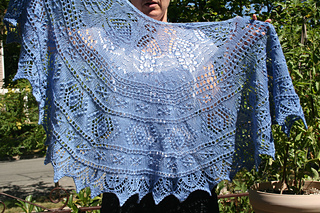 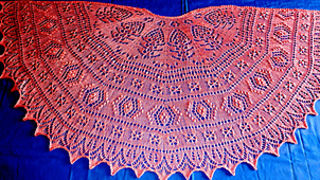 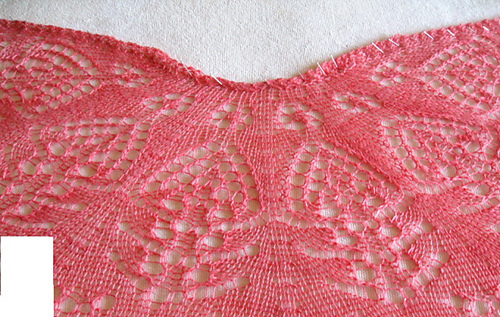 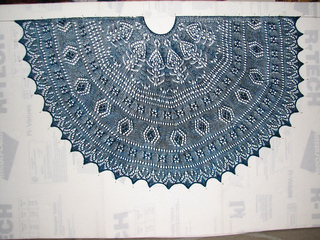 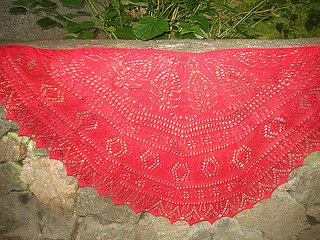 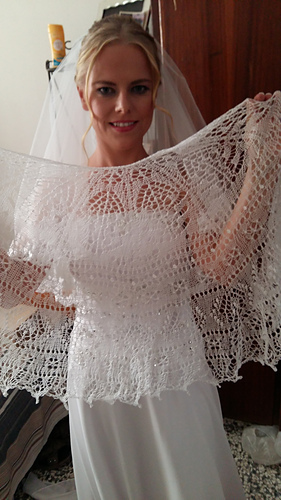 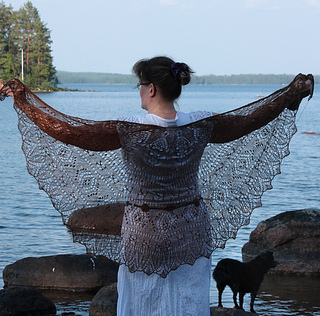 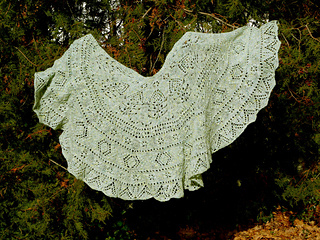 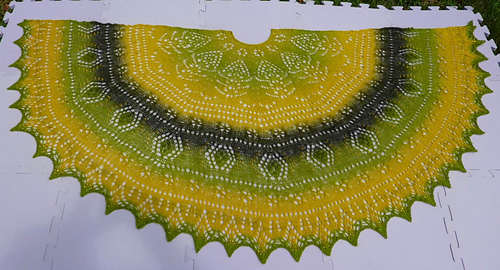 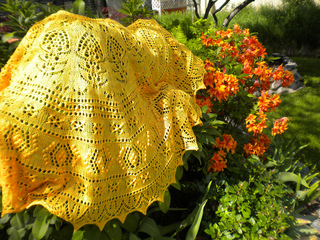 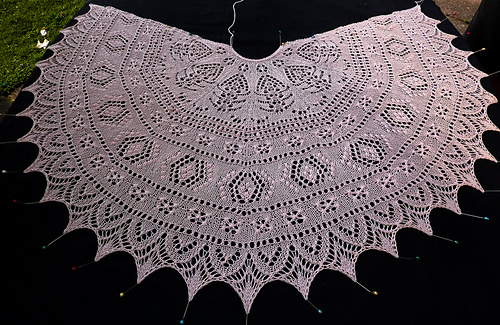 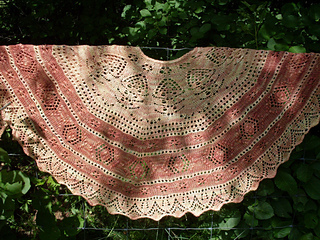 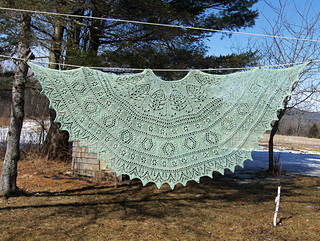 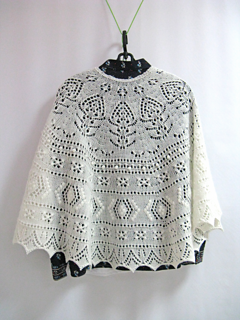 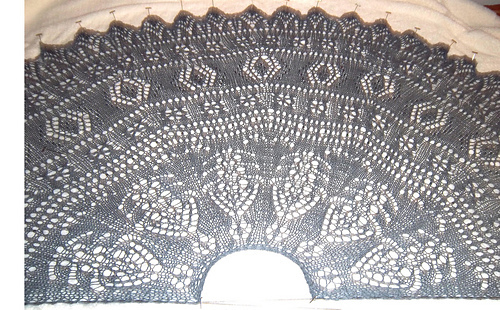 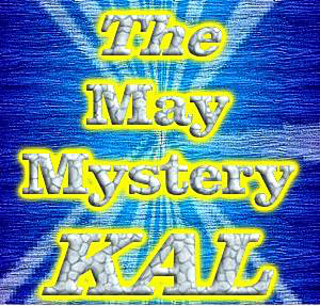 It features lace , Estonian star stitches and nupps. 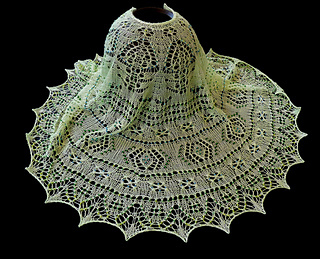 More information about StudioJune yarns on Jill’s web site, here : http://studiojuneyarn.com/ and on StudioJune’s Etsy shop here: http://www.etsy.com/shop/studiojune . 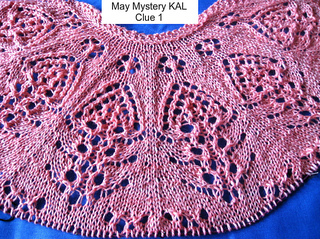 The pattern is in both chart and text format.